camp store, hiking trails, and much more! 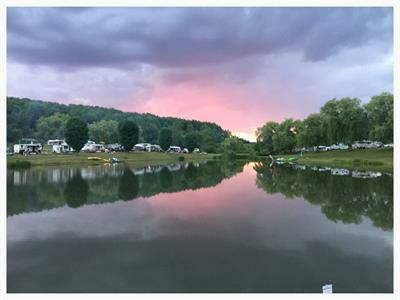 When you camp with us at Country Hills Campground you'll find a truly relaxing and peaceful atmosphere. We are a family and pet friendly RV park, where peace of mind and the safety of your kids comes first, and entertainment follows suit. Surrounded by woods, farmland, lakes, and mountains, this is a great place to get away from it all. The staff will go out of their way to make sure your stay is calm and enjoyable. 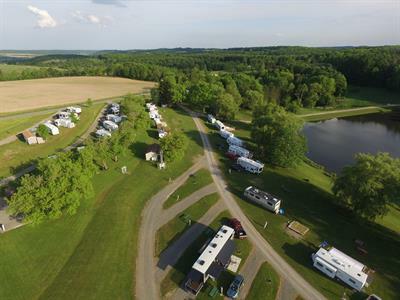 At Country Hills Campground, RV guests can enjoy spacious sites as well as full hookups, including sewage, electrical, and water. The camp store has plenty of snacks, treats, and last-minute supplies. 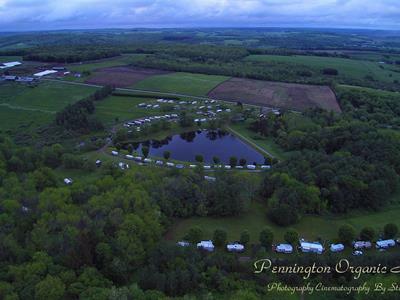 Our New York campground has clean bathroom facilities and spacious tent camping areas. Why not get the family together and visit one of the many race tracks in the area, or go fishing in the pond, or go on a hike up a local mountain? Pets are welcome, but we do ask that you not bring any aggressive dogs. Pets must be on a leash at all times while in the park. This is the perfect place to engage in traditional camping activities, like campfire cookouts, hikes, canoeing and fishing. Our pond is great place to relax on a hot summer day. 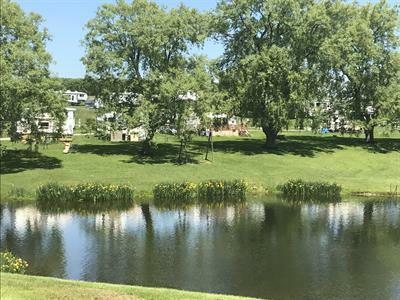 You're welcome to go catch-and-release fishing in the Country Hills Campground pond. Trails stretch away through the countryside in every direction, and our area has a number of great hiking trails. We have canoe rentals here at Country Hills Campground, so you can easily spend your day boating with the family. With both Binghamton and Syracuse within an hour's drive, you can easily find what ever you need. Head to Finger Lakes Wine Country and take a drive along the Cayuga Lake Wine Trail or visit the exquisite Corning Museum of Glass.